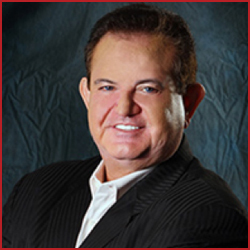 Richard M. Colombik is an award winning Attorney, CPA with a Doctorate in Jurisprudence with Distinction and was formerly on the tax staff of one of the world’s wealthiest families. Mr. Colombik has also been a tax manager at a Big Four accounting firm, the State Bar’s liaison to the Internal Revenue Service, Vice-President of the American Association of Attorney-CPA’s, Vice Chairman of the American Bar Association’s Tax Section of the General Practice Council, as well as the past Chair of the Illinois State Bar Association’s Federal Tax Committee. Mr. Colombik has also served on the liaison committee to the Washington, D.C. National Office of the Internal Revenue Service. Mr. Colombik is also a member of the Asset Protection Committee, ABA, and a member of its captive insurance sub-committee. Mr. Colombik has appeared on numerous television shows, hosted a weekly radio show on tax and business planning, authored over 100 articles on income taxation, asset protection planning, IRS defense and estate planning. He has also instructed more than 100 seminars to professional groups, business groups, Bar Associations, CPA societies and Insurance Groups. This is in addition to authoring a published work on Business Entity Structures offered by the Illinois Institute of Continuing Legal Education, as well as writing a Chapter for The Estate Planning Short Course and Asset Protection Planning.